【NEW】Leak-tight pumps with improved leak tightness launched!These low-vibration, low-noise pumps are oil free and used in many fields. The lineup supports pumping speeds from 50 to 1000 L/min. Accelerators, radiation facilities, analyzers, gas recovery, etc. 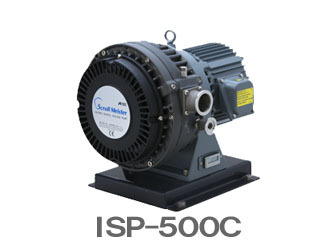 [NEW] New leak-tight ISP-500C model launched! 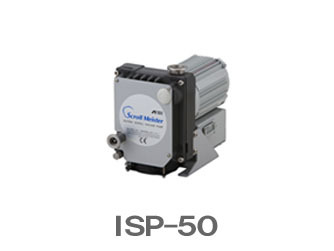 Five models are available, from ISP-50 to ISP-1000. The pumps can deal with a wide range of applications from atmospheric pressure to the ultimate pressure. 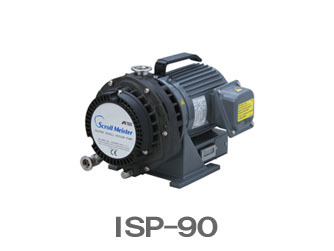 These are multi-voltage pumps that can be used with any type of power supply around the world (except ISP-50). 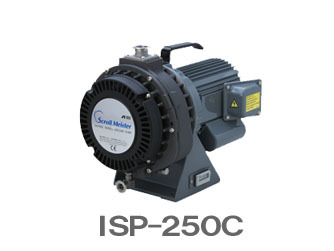 The dry scroll vacuum pumps are used in various vacuum environments, ranging from the accelerator market to the general-purpose vacuum device market. These pumps provide clean vacuum without back-diffusion of lubricating oil. They endure repeated continuous operation between atmospheric pressure and vacuum and are capable of continuous operation near atmospheric pressure. These features make the pumps best-selling models. 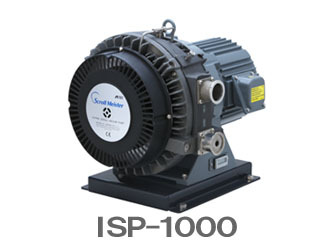 Features of scroll-type pumps - low vibration, low noise and high efficiency! The processes of suction, compression and exhaust proceed continuously with little change in torque, resulting in low vibration and low noise. The suction chamber and exhaust chamber are not adjacent to each other, making the pumps less prone to leaks and highly efficient. Since the pumps do not use cooling water or lubricating oil, they are easy to install and maintain. There is no need to inspect and replace oil filters, lubricating oil, etc. Do not use toxic, explosive, flammable or corrosive substances or substances which contain chemicals, solvents or particles. ANEST IWATA will not perform maintenance work on pumps which have used special gases or other hazardous substances. Use at ambient temperature in the range of 5℃ to 40℃(10℃ to 40℃ for ISP-1000).